Yellow is the colour of brightness, joy, friendship and energy. 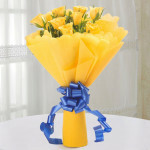 Get this energetic bouquet for your friends and family to make them happy. 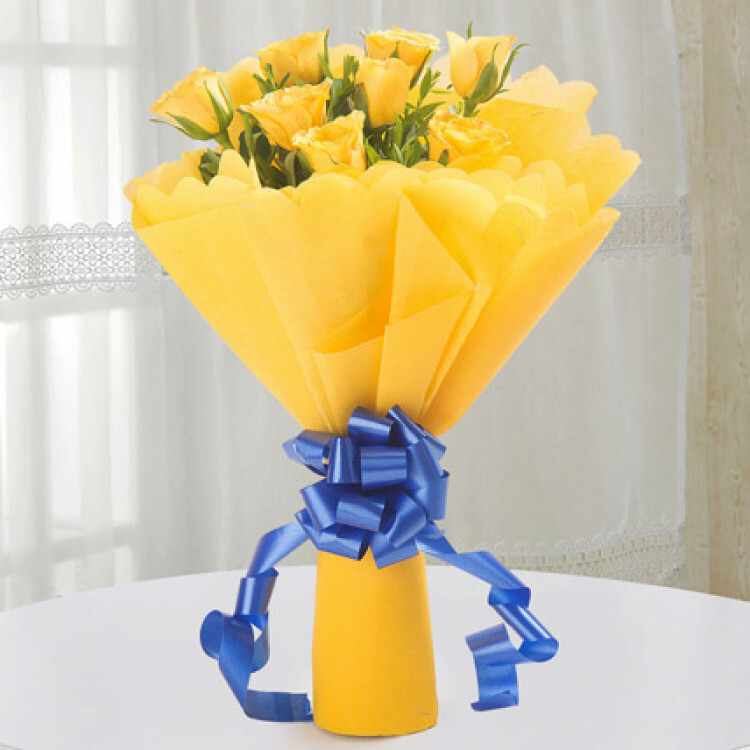 This bouquet consists of 10 yellow roses and what adds more glamour to this bouquet is the yellow paper packing garnished with a contrasting blue ribbon.